This lovely figure shaping tankini has a gorgeous halter neck, with a figure shaping lined paneled front, moulded cups and a smooth slightly deeper pant to complete this deceptively simple and flattering style. The soft halter neck straps tie around the neck or around the back for sunbathing. With bust support and full front lining this elegant tankini is stylish and comfortable for all day wear around the pool or in it. 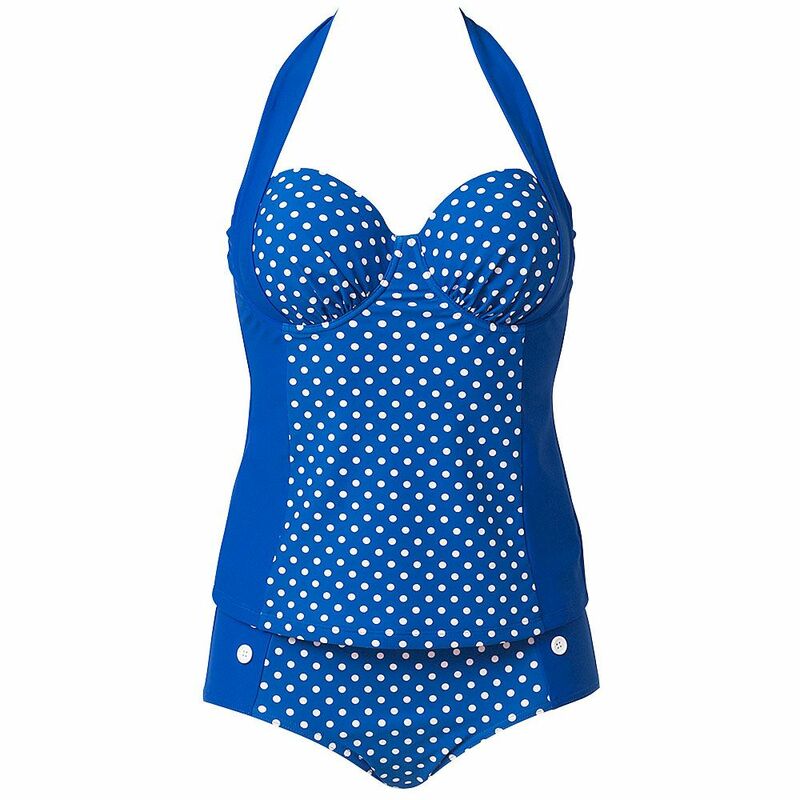 This beautiful tankini has a high Lycra content which not only which makes it especially comfortable but also means it keeps its shape superbly well no matter how often you wear it.